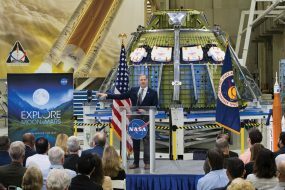 The ongoing story of human space exploration has received a major boost with the arrival of the new full-scale Shuttle replica, Explorer, to Bay Area Houston. Having Explorer here in our community has set the stage for the opening of a new era in space exploration, outreach and education. 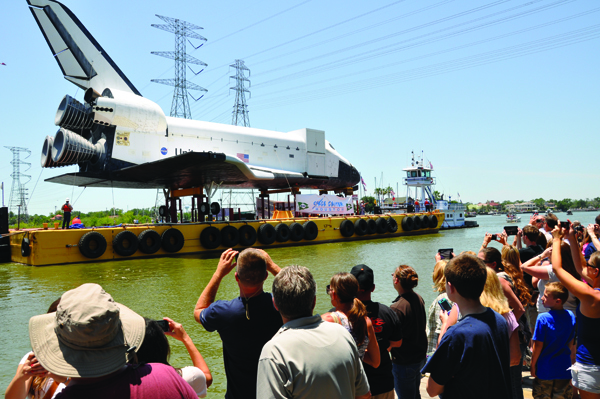 Once Explorer is fully installed and prepared for visitors, the public will be able to go inside the full-size replica as part of a behind-the-scenes look at life inside the Space Shuttle, an experience that will only be available at Space Center Houston.